Custom Online Signs is one of the premier suppliers of custom Boat Registration Numbers and graphics in the country. With over 30 years of experience, we are committed to providing superior customer service, and we continuously strive to meet customers’ expectations on time and within the specified budget. If you are looking for boat registration numbers based on the quality and uniqueness of designs, then you are at the right place. We have a variety of font styles for numbers and all are designed for maximum impact. 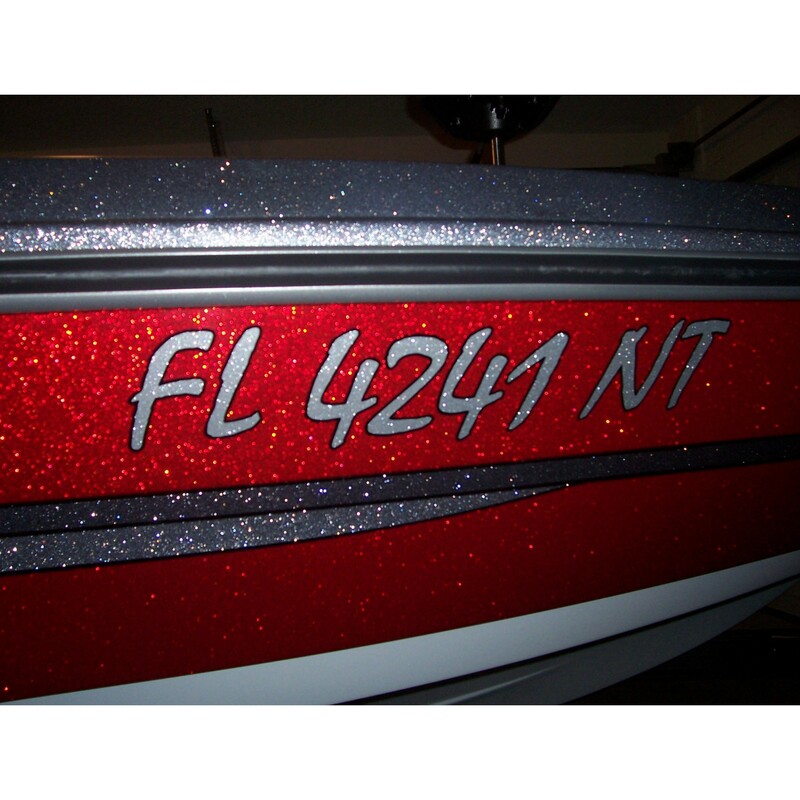 We also offer reflective boat numbers for giving a color accent to your boat. The in-house creative teams at Custom Online Signs are experts in designing custom numbers that can grab attention. Our vinyl numbers come in various colors, sizes and finishes, and will last for 7 to 9 years. It's never been easier to order and purchase custom vinyl numbers online. You can easily design boat registration numbers of your own choice with the help of our design tool. Enter your text and choose from a variety of fonts, sizes, spaces, colors, borders, shadows, and other effects. Our online sources for custom design facilitate the fastest on-demand printing services at the best prices, with a few simple clicks of the mouse.